Spring training for baseball teams preparing for the upcoming season has existed since the 1890s when the Chicago White Stockings (now the Chicago Cubs) began the preseason ritual in Hot Springs, Arkansas in 1896. Soon the Detroit Tigers, Cincinnati Reds, Pittsburgh Pirates and Brooklyn Dodgers began calling Hot Springs their spring training home. The Boston Beaneaters (became the Boston Braves in 1912) joined the spring training extravaganza in Norfolk, Virginia in 1901. Since Norfolk, the franchise has trained at numerous sites: Thomasville, Georgia (1902-1904, 1907); Charleston, South Carolina (1905); Jacksonville, Florida; (1906) Augusta, Georgia (1908-1912); Athens, Georgia (1913); Macon, Georgia (1914-1915); Miami, Florida (1916-1918); Columbus, Georgia (1919-1920); Galveston, Texas (1921); St. Petersburg, Florida (1922-1937); Bradenton, Florida (1938-1940, 1948-1962); San Antonio, Texas (1941); Sanford, Florida (1942); Wallingford, Connecticut (1943-1944); Washington, D.C. (1945); Ft. Lauderdale, Florida (1946-1947); West Palm Beach, Florida (1963-1997), and Orlando, Florida (1998-Present). 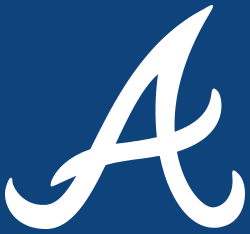 The Braves are set to move to a new home beginning in the spring of 2019 in Sarasota County, Florida. This $75 million to $85 million complex will have a stadium seating capacity of about 9,000 and six full and two half practice fields. Braves officials have been considering a new spring training site for the last couple of years because other major league teams have moved farther away, thereby increasing travel time for spring training games. The Houston Astros, which were located in nearby Kissimmee, and the Washington Nationals, which were located about 60 miles away in Viera, moved to a new facility in Palm Beach County that they will share beginning this spring. The closest opponent now is the Detroit Tigers, an hour away in Lakeland. So when not playing the Tigers, the Braves have to bus at least two hours to play another team. The Braves do not want to substitute teaching and training time for travel time. For another couple of spring training seasons, the Braves will remain in Lake Buena Vista as part of the Disney family. The Braves and Disney partnership came together in a circuitous manner. With the lease in West Palm Beach to expire in 1997,the Braves began negotiations with Palm Beach County officials in 1993 for a new stadium, but problems arose as to where and how to build the new stadium, according to a February 27, 1996 article in the Sun-Sentinel of Broward County, Florida. The new $25 million stadium was to seat around 7,500 and be shared with their stadium partner at the time, the Montreal Expos (now the Washington Nationals). The Walt Disney Company approached the Braves in 1995 about becoming the main tenant in a new sports complex, planned for opening in 1997, after the Tampa Bay Devil Rays declined the multi-billion dollar company’s offer, according to a February 28, 1996 Orlando Sentinel article. Initially, the Braves declined the offer because of on-going negotiations with Palm Beach County officials. The Palm Beach County deal began to unravel early in 1996, largely because of a private developer’s insistence on pocketing most or all of the parking fees, according to the Orlando Sentinel article. At that point, the Braves contacted Disney officials and negotiated a deal within a week. Braves President Stan Kasten summed up the negotiations, “We got done here (at Disney) in a week what we couldn’t do in three years down there.” The Braves signed a 20-year lease to play in 9,500-seat Cracker Jack Stadium (now Champion Stadium) in the Disney Wide World of Sports complex (now the ESPN Wide World of Sports Complex) and beat the Cincinnati Reds 9-7 in their first game in their new spring training home, on March 28, 1997. The Braves and Disney signed a one year extension to the lease that will keep Atlanta in Champion Stadium through the 2018 spring training season. At the time of this writing, Mickey and Minnie Mouse remain undecided on whether to follow the Braves to Sarasota County. However, rumor has it that Donald Duck, Pluto, and Goofy are all in.